My wife, Anong Namwongsa went here for a DMEK operation and Cornea Transplantation on January 29 2019/2562. Her doctor Pattaramon Bunnapradist did an amazing and PERFECT job! This Hospital is by far the best for any eye treatment and deserves 5 stars for Technology, Equipement, Service, Rooms and Employees!! I recommend this Hospital to anyone who has an eyeproblem or needs advice !!! your hospital during January 23 to February 07,2019 was very satisfied. I have been under the supervision of Dr. Mr. Sombat Tanchotikul. He has successfully conducted my laser treatment for eyes. 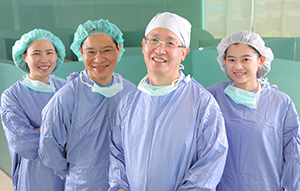 Congratulation to him and Rutnin Eye Hospital! I attended the Rutnin eye hospital on a recommendation. I have poor eyesight with astigmatism and I wanted to check my eyes for possible issues such as retina detachment as this is a serious issue and concern for me at the time. I would like to commend and thank the hospital on their professional staff and service throughout my appointment. As a first time patient I was greeted firstly at reception. The reception staff registered my details. I then went through pre-tests and check-ups with the nurses, which again was good. Then I saw doctor ......who provided a professional and reassuring assessment. At the time of my visit, the hospital was busy with many patients, however I was impressed with the quick and professional service provided by all the staff in the hospital and I will be recommending Rutnin hospital to anyone and be returning there in future. I am writing to express my sincere thanks for your warm accommodations during my visit to your hospital. Last month, I brought my parents to Thailand for some medical care. I specifically brought my father to your hospital for Cataract surgery. The surgery was done with great level of professionalism and customer care. While my father was having surgery, my mother, who at times gets confused, wondered out of the hospital. Your staff provided us with the security footages of my mother walking out of the hospital. Your staff went above and beyond to pass the information to the local police departments, social media, and broadcast stations. Within few hours, local authorities were able to find my mother. I am sure this wouldn't have been possible if it was not for the help of your staff. Please accept this letter as a simple token of appreciation and recognition for all that you have done and thank you again for your help and care of service. I had laser surgery done on both eyes in 2000. Fast forward 17 years and I can say I've enjoyed perfect vision all these years. The staff and doctors at Rutnin are world class. The hospital's reputation is sterling. And prices are very affordable compared to those in the U.S. I highly recommend this institution. 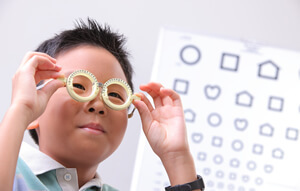 Great eye hospital with several skilled doctors for you to make an appointment with. Service and hospitality were perfect. Price is affordable. Right place for eye treatment. Translators available, doctors speak fluent English. anywhere else and you should be fine. The Best eye hospital in Thailand. 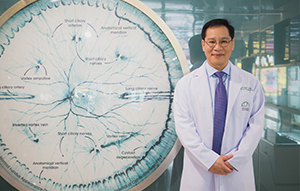 I was treated for eye infections, had Lasik and annual eye exams done at Rutnin Hospital. 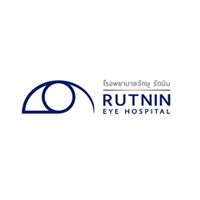 Hands down, Rutnin Hospital's Ophthalmologists are the best in Thailand based on personal experience! 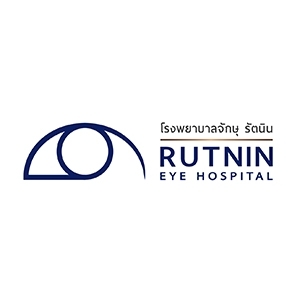 Rutnin Eye Hospital's fees are very reasonable compared to other private hospitals in Bangkok.